Every once in a while, I find a fashion label that transports me into an imaginary life. Such is the case with Ulla Johnson. Her effortless clothing and accessories are both wearable and artistic. From boho babydoll dresses to luxe leather sandals to sophisticated floral fare, it is easy to see Ulla Johnson fashions on both a Montecito mom and a Venice beach fashionista. 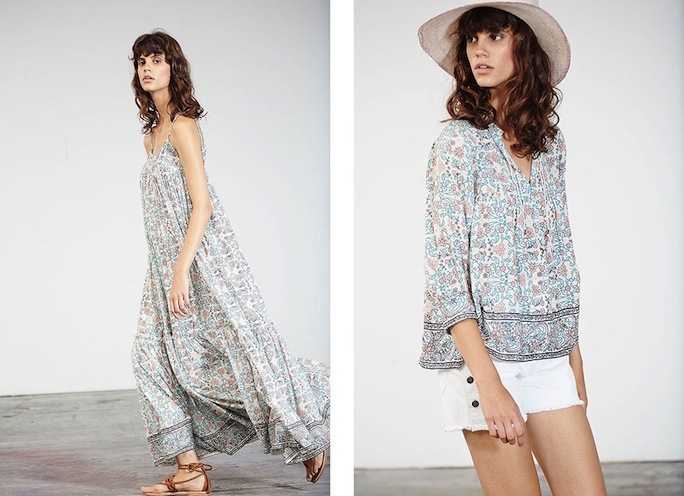 Enjoy day-dreaming away with some of the Ulla Johnson spring/summer 2015 fashions below. Ulla Johnson clothing and accessories are available here, here and here. These dresses are super awesome.